It's finally summer vacation! 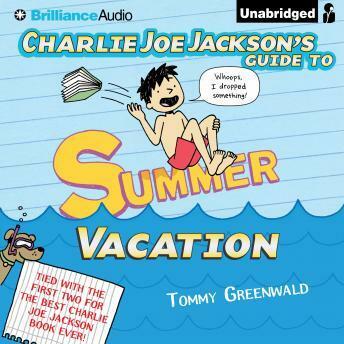 But instead of hanging out with his friends and playing with his dogs, Charlie Joe Jackson has to face his worst fear: academic summer camp. Camp Rituhbukkee is exactly how Charlie Joe pictured it: books and nerds as far as the eye can see. It's like permanent opposite day, where the dorks are the cool kids and the cool kids are the losers. But Charlie Joe is determined to convince the entire camp to hate reading and writing - one genius at a time. Can he pull it off? Or will he - gasp! - turn into one of them?!? !